Pittsburgh has transformed from its days as an industrial steel town. 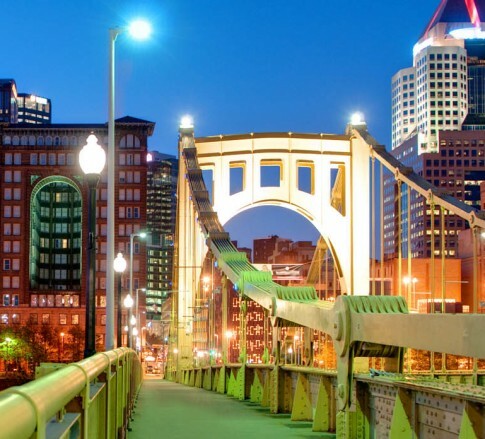 With Pittsburgh at the center, the western Pennsylvania region has transformed itself by expanding its technology, energy, and healthcare industries. Located in downtown Pittsburgh, Jackson Kelly’s Pittsburgh office has grown along with the region and is perfectly situated to serve the legal needs of these vital industries. This office works closely with the Firm’s nearby West Virginia and Washington, D.C., offices to provide exemplary legal service to clients throughout Pennsylvania and beyond, in areas such as business law, corporate transactions and governance, economic development, energy and natural resources, government affairs and contracting, intellectual property, litigation, safety and health, securities, and white-collar compliance. The Pittsburgh office also co-anchors the Firm’s national Occupational Safety & Health Practice with the Denver, Colorado, office, where the attorneys regularly represent clients before the Occupational Safety and Health Administration, Mine Safety and Health Administration, Department of Transportation, and Bureau of Alcohol, Tobacco, Firearms and Explosives.